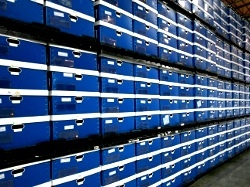 As an OEM supplier, we know the importance of supplying the order when it is needed. Kyowa America is skilled in supplying our parts according to the Just In Time scheduling. Typically we meet or exceed our customer's expectations of supplying our parts according to schedule. The benefits of Just-In-Time are reduced carry costs, reduced inventory, maintained quality, efficiency and an improved Return On Investment (ROI). 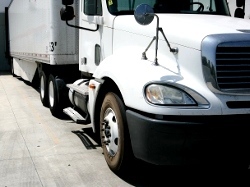 Our record of 99.8% of on-time delivery is proof of our commitment to the Just In Time System. 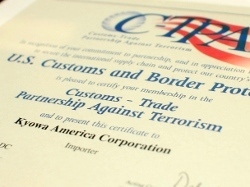 As a Third party logistics provider, Kyowa America is a C-TPAT certified company that offers integrated operations, manufacturing, importing/exporting, warehousing and transportation services that can be scaled and customized to meet our customer's needs including assembly capabilities that allow customers to ship parts unassembled to maximize shipping container efficiency thus reducing shipping cost. After assembly at Kyowa, our customer's orders are built per shipping specifications for Just-in-Time transportation to the customer/end-user locally or across North America. Each customer's packaging needs are different. Kyowa America is experienced in creating special customer-specific packaging solutions . We work closely with suppliers to develop the necessary returnable packages and dunnage, or if not necessary, the expendable boxes and cardboard parts. We stand by our commitment to the environment and recycle 100% of our used cardboard and packaging material. Plastic wrap, plastic ties, and recyclable dunnage are all recycled to reduce waste into our landfills. With our locations in North America, and specifically our Tijuana facility within 2 hours of the Port of Long Beach. With five strategically located facilities in North America including our California Facility that is located within 25 minutes of the Port of Long Beach/Port of Los Angeles, within 2 hours of the Mexico border and major transportation lines to the Midwest and East Coast, Kyowa America can serve as a Cross-dock for our customers distribution and/or import/export requirements across North America. Copyright © 2013 Kyowa America Corporation, All Rights Reserved.